Over the last few weeks I have been sent a few bits to try out- some I have already mentioned, but here they all are. They sell a range of protein powders, and I was sent the vegan one, made with pea and hemp protein, plus xylitol, xanthan gum and stevia. This was sent to me in two flavours- chocolate and vanilla (but they also sell a plain and berry flavoured one). 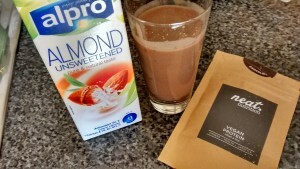 I did try one as a shake, and although it blended better than some other protein powders, it was still lumpy. The taste was fine though. It does contain stevia as a sweetener, which often I find tastes very metallic, but there does not seem to be too much in here. 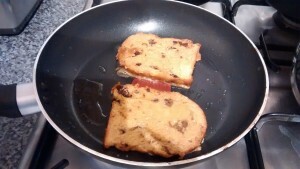 I tried mixing a spoonful into porridge (after it was cooked- not sure if you should cook it?) and that was better. 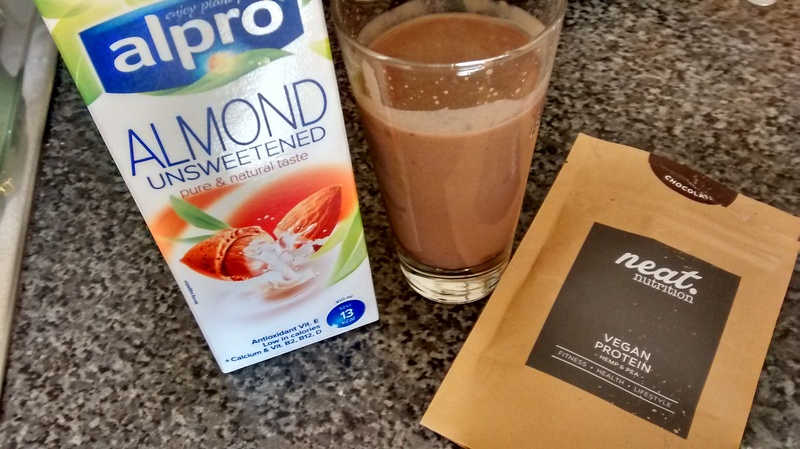 Probably the best protein powder I have tried, although I am not convinced that I would buy some for myself as I just forget to use it, and find porridge pretty filling anyway. Maple Syrup from We Love Maple (I certainly do). Harvested after the Extra Light syrup and relatively light in colour. It has a pure, delicate taste. Ideal in vinaigrettes or drizzled over sweet and savoury dishes. The most commonly used syrup, harvested after Light syrup. Its more pronounced maple flavour is perfect for cooking, desserts and sauces. Darker in colour. Rich, distinctive flavour that is more pronounced than that of Medium syrup. Recommended for sauces and glazes. I used the Amber syrup to roast some nuts with, which I gave away as Christmas presents- they were very well received and smelled amazing as they were baking. 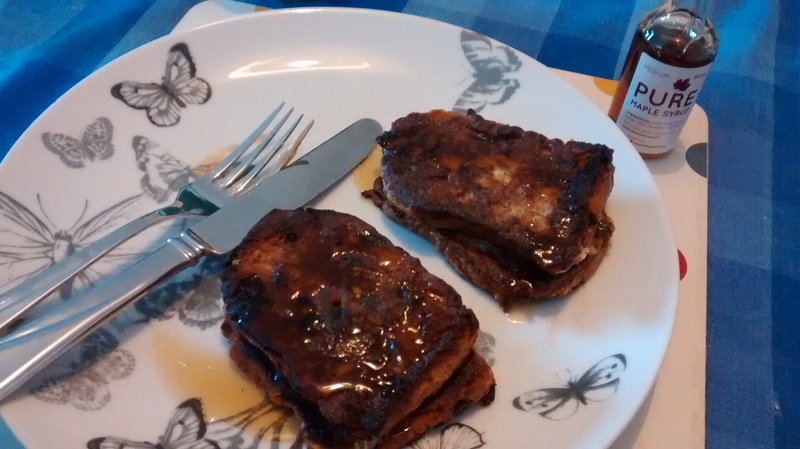 French toast made with panettone (so good, and such a good way to use it up) covered in Medium maple syrup. So delicious. Their website also has a lot of recipes on there, plus information about sports nutrition (maple syrup contains zinc, potassium and antioxidants- much better than sugar or sweeteners) so it makes me feel even better about including some in my post-long run brunches. They also have a section on maple water (which I tried in the US in the summer and loved) so I shall be looking out for that in the shops. I also loved the red shiny jiffy bag it was sent in! I was sent one smoothie from a range of four vegan, dairy free, gluten free, wheat free smoothies that contain no added sugar. The four seeds (flax, poppy, hemp and pumpkin) are combined with superfoods, such as oats and quinoa, and fruit and vegetables, which are cold pressed to retain all of their goodness and nutrients. The end result is a smoothie that is a great source of protein (20g per 500ml), iron, magnesium and potassium, while also being packed with vitamins. The Berry Boom one contained pressed apple, water, blueberries, oats, beetroot, raspberries, pea protein, pumpkin seeds, poppy seeds, flax seeds and hemp seeds. 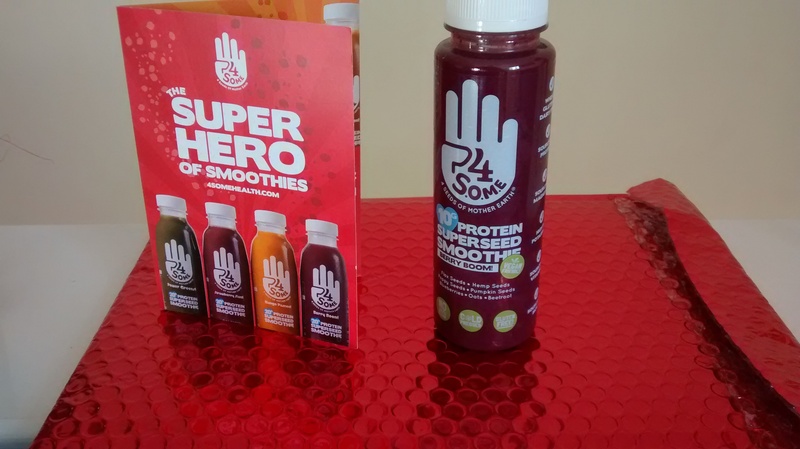 It had a lovely berry flavour- I could not taste the beetroot (although I love beetroot in a salad, or cooked, I don’t like the idea of it in a smoothie particularly), and although the seeds and oats gave it a bit of texture, it wasn’t gritty like a protein powder drink can be. I was impressed with the amount of protein in one bottle (10g) and I can imagine that when the weather is hot it would be even more refreshing to drink after a long run. 4 S.O.M.E smoothies are available in 4 flavours – Strawberry Slam (4 super seeds, strawberries, quinoa and beets); Mango Passion (4 super seeds, quinoa, mango, carrot and pressed passion fruit); Power Greens (4 super seeds, crushed pineapple, spinach and oats) and Berry Boom (4 super seeds, blueberries, oats, beets and raspberries). Have you tried any of these products? What is your favourite way to eat maple syrup? *Products sent in exchange for a mention on my blog. All opinions are my own. I have actually put both maple syrup and protein powder in a smoothie before, so the title made perfect sense to me! Sadly I have never tried any of these products, although the smoothies sound absolutely amazing. We seem to get everything late in the North East, so it might be tricky for me to find them. I will definitely look though – I particularly like the sound of the green one. I think they are just starting up so hopefully they will get more widespread. I really like the idea of using seeds instead of just protein powder to improve the nutritional content. I love that maple syrup, it has such a lovely taste. I’ve been putting it on so many things, especially waffles because we’re a bit made about them in our house at the minute. I haven’t heard of any of those products before. 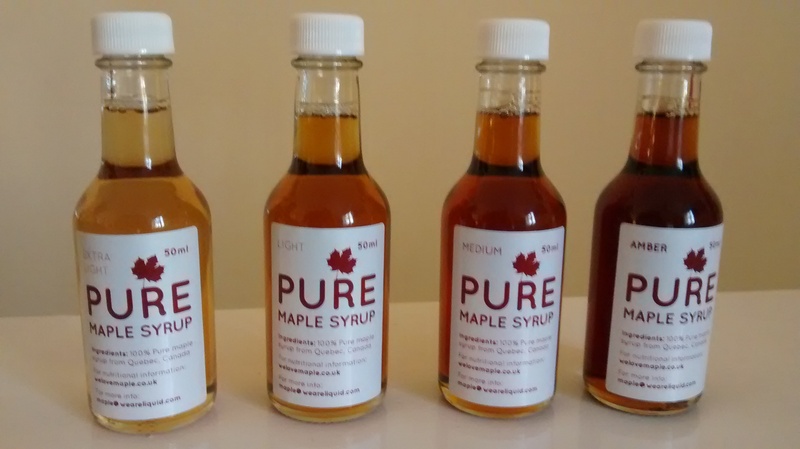 It’s interesting to see that they offer different grades of maple syrup though. I wouldn’t be sure where to start though! No, the information was really useful actually, although they all taste nice! Yes that is a good idea for a commute home. Oooh, I have been looking for a good vegan protein powder, as all the ones I have tried before have been horrible. I haven’t tried this one yet though, so I’m going to give it a go. I was impressed so I would say give them a try if you are after that sort of thing. 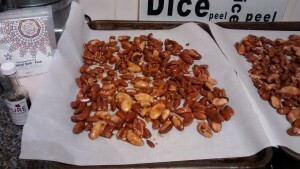 I’d love the maple syrup nut recipe if you have it, it sounds delish! I looked online for ages though!